I have started the process of charting Lethal White. This involves taping together large pieces of paper, drawing a line with a ruler and dividing that line into 71 segments for the 69 chapters, prologue and epilogue, and then re-reading the book and making notes on the chart with respect to the time, place, characters, events, and noteable signs, symbols, or stray thoughts I find meaningful. 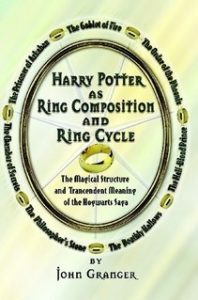 The reading is done first chapter, last chapter, possible middle, and then forward and backward to spot any possible ring echoing. When I’m done, I’ll have an oversized atlas page from which to work on topics like links to Goblet of Fire and Cuckoo’s Calling, the structure of the book, and thematic elements like those touched on in yesterday’s post. Not to mention the thought that struck me on my fifth time through Robert Glennister’s audiobook recording of Lethal White, namely that Della White is a stand-in of sorts for Hillary Clinton. 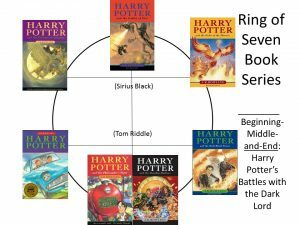 Before I begin this labor of charting love, I wanted to share with you a mystery I discovered while comparing the superficial structure of Strike4 with that of the three previous books. 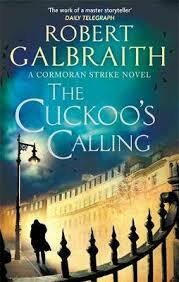 Cuckoo’s Calling has five parts bracketed by a prologue and epilogue. The Silkworm and Career of Evil are both straight up chapter books, no ‘Parts,’ no bracketing at beginning and end. Mark that down as another Cuckoo and Lethal White correspondence. 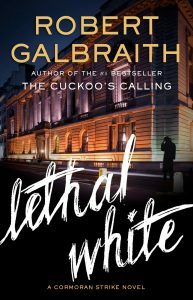 The mystery is in the two parts of Lethal White. 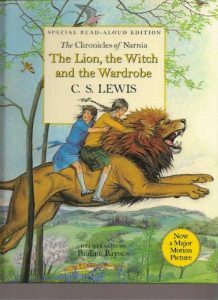 ‘Part Two’ is given its own page between the end of chapter 35 and the beginning of chapter 36 (page 287 in the edition I have). I checked to see which of the two parts is longer (part two by almost sixty pages if you’re interested). I wasn’t sure if the page for ‘Part One’ was included in the pagination so flipped to the book’s beginning to see if it was before the prologue or chapter one and how it was numbered. 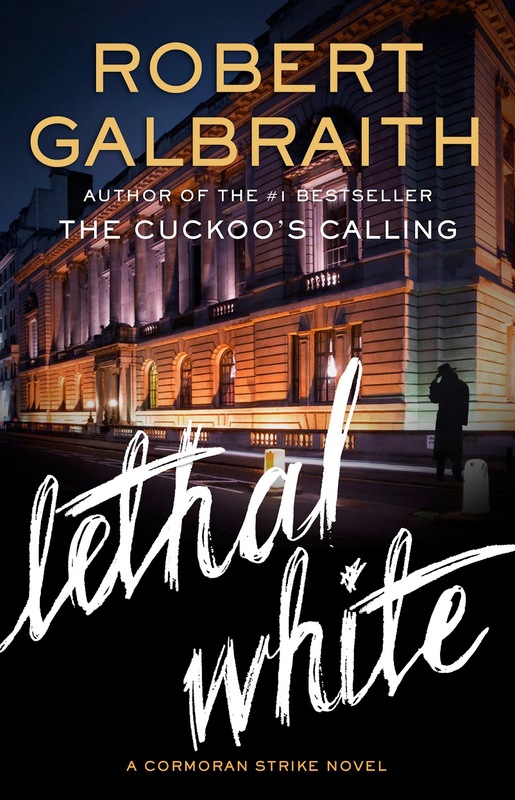 In my copy of Lethal White at least, there is no page set apart for ‘Part One.’ Cuckoo’s Calling does have a separate ‘Part One’ page after its prologue and its ‘Three Months Later’ page, and before its chapter one frontispiece and epigraph.